I hope you all had a holiday season filled with joy while being surrounded by your friends and loved ones! I decided to start off 2018 here on my blog with not just any fashion feature, but a Men's Fashion Feature! I'm always looking for new ways to challenge myself artistically and to keep things interesting, so doing a men's fashion shoot was a great experience since I have only ever done photo shoots with women's fashion! This months fashion feature is one of my great friends, Tyler! We met in college during one of our summer classes and I always have his admired his style! He's a hilarious kind soul and I'm glad we shared good times together in 2017! Continue scrolling to view the images from Tyler's style shoot and to read a little bit about him! "I would describe my style as classic with modern touches. 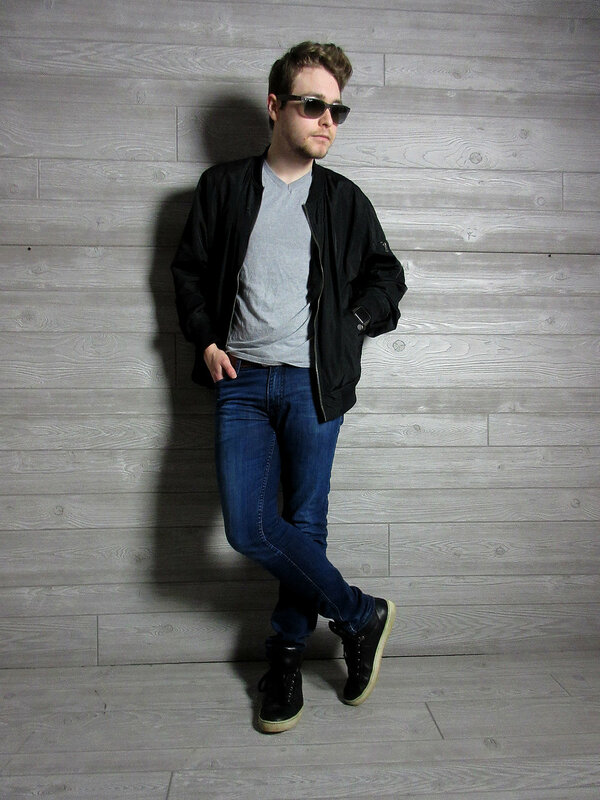 I’m very much inspired by the simplicity of the “jeans and a t-shirt” look that became more popular with James Dean and I tend to dress it up with button-ups, hats, shoes, and jackets of course. I feel that my sense of style connects with me through my love of design. I like when design is clean, simplistic, and timeless. I think that my sense of style largely relates to that description." "I think the first time I did a big haul with my own money was when I went to a Nordstrom that had just opened up. That was a very fun experience where I formed an understanding of what look I desired to go after! I felt like I knew myself much better after that, as strange as it sounds. I particularly like their in-house brands such as 1901 and The Rail. I also have Express, Goodfellow & Co (from Target), American Eagle, Calvin Klein, Ralph Lauren, and Banana Republic in my closet." "There is a quote by Ralph Lauren that I adore that says, “Style is very personal. It has nothing to do with fashion. Fashion is over quickly. Style is forever.” This speaks to me on multiple fronts because it highlights that everyone is different. Style is never cookie-cutter, just as no two people think or experience life exactly the same way. Their style reflects who they are as individuals. I also aspire to be as introspective in design as Ralph while beginning my career in product design, much like when he started out designing ties and working his way up to being the billionaire he is today." I had so much fun during this photo shoot with Tyler and was so glad to have him be my first men's fashion feature!